Protein is a macronutrient that is essential for the growth and repair of muscle tissue, plus for the growth and repair of cellular health and function. 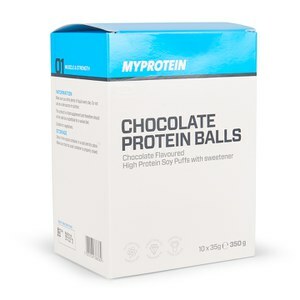 Because of this, many bodybuilders, athletes, and individuals just generally trying to look after their bodies, will purchase protein supplements and products to help ensure that they’re getting enough protein in on a daily basis. When we talk about protein shakes however, the first examples that instantly spring to mind are whey protein supplements. Some people however, cannot, or will not, consume whey protein or protein that is derived, in any way, shape, or form, from an animal, and so as a result, viable alternatives must be sought out. 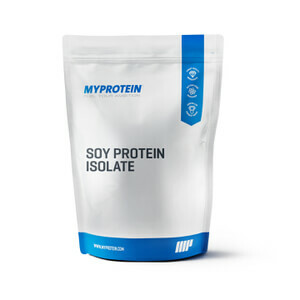 Soy protein is a plant-based protein that is derived naturally from soy beans. Soy beans are members of the pea family, and are surprisingly high in proteins. There are many different plant-based protein supplements now available, and although each one offers its own unique benefits and drawbacks, the general feeling amongst experts is that soy protein is considered to be the best-quality plant-based protein supplement currently available. 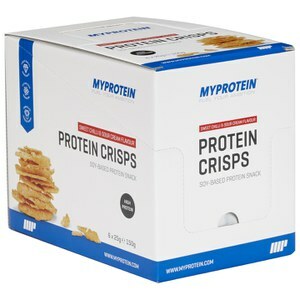 This is because soy protein contains all of the most important and essential amino acids in just the right quantities required in order to place the body into an anabolic state. Another benefit provided by soy protein, is the fact that it is naturally rich in vitamins and minerals. Soy protein provides very respectable dosages of B-complex vitamins, vitamin E, Phosphorus, potassium, zinc, and iron, all of which provide numerous benefits to the body. For example, not only do the nutrients help to strengthen and boost immunity, but certain minerals and vitamins, particularly zinc and B vitamins, help to, respectively, increase testosterone levels, and increase natural energy levels as a result. Although some may consider soy protein to be a “feminizing” protein source, and we’ll talk more on that in just a moment, there is a lot of research to suggest that, by supplementing with soy protein, an individual that would ordinarily struggle to get enough protein in on a daily basis, could increase their overall muscle growth and recovery rates. So, we’ve looked at the benefits, now it’s time to look at the not-so-great aspects associated with soy protein supplementation. As mentioned, soy protein is considered to be a feminising protein, due to the fact that soy contains phytoestrogens. What does this mean? Well, let’s take a look. As soy protein contains phytoestrogens, it has been revealed that soy protein can lead to increases in estrogen levels. Estrogen is basically the female equivalent of testosterone, and whilst testosterone has been found to lead to increases in muscle growth, size, and repair, and losses in fat, unfortunately, estrogen has the exact opposite effects. As the soy is rich in isoflavones, hormone balances can be disrupted, which can lead to dips in testosterone. Testosterone is the dominant male sexual hormone that is responsible for a whole host of anabolic processes within the body, which is why, generally speaking, the higher a person’s testosterone levels, the more muscle they will build, and the more fat they will burn. Soy protein is thought to contribute to lower than average testosterone levels, which again, is largely down to the fact that it can lead to increases in estrogen, and hormonal imbalances within the body. Who can have soy protein? 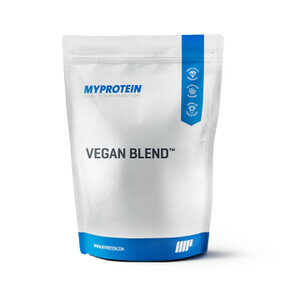 Generally speaking, soy protein is suitable for anybody and everybody, although there are some people that soy protein does appear to be better suited for some people than others. For example, for anybody who cannot consume milk-based protein supplements, whether it be for personal, or ethical reasons, soy protein is a fantastic alternative. Many vegans and vegetarians will therefore supplement their diets with soy protein products, and will see very impressive results. So, as you can see, although soy protein does offer its own unique benefits and advantages, it is not without its drawbacks. However, as not enough is known about the feminising effects associated with soy protein, it is unfair to write it off altogether, as it has been found to be a very effective and popular supplement for vegans, vegetarians, and individuals looking for a plant-based protein!